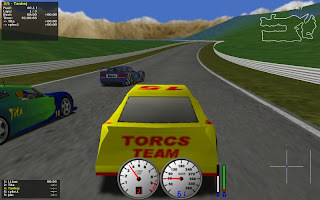 In my noble aim to play at least one game for Linux per week, I bumped into a 3D car racing simulator called TORCS. 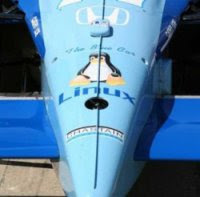 The Open Racing Car Simulator (TORCS) is considered among the best open source games available for Linux. TORCS is based upon the open source, cross-platform libraries OpenGL, Mesa 3D and OpenGL Utility Toolkit, thus it is highly portable and can also run on FreeBSD, Mac OS X and Windows. It is primarily used as ordinary car racing game, as AI racing game and as research platform. I downloaded and installed TORCS by simply using Synaptic Package Manager. You can also get it straight from its project website HERE. Having played Gran Turismo and Need for Speed before, I would say that TORCS is not as graphically pleasing compared to those games. However, the racing environment in TORCS is quite good and should probably impress a lot of typical gamers. Also, it is not as resource hungry as those popular Windows racing simulator. Using only my low-end ATI X1050 graphics card, the FPS is high enough, meaning the game is very much responsive even in full screen mode. There were also several available options to tweak the graphical display settings to suit whatever your hardware needs. Now about the sound quality; I can say that it is at par with some of the most valuable car racing simulation games today. The sound of the roaring engine and the screeching tires were very realistic indeed. TORCS features more than 50 different cars, more than 20 tracks, and 50 opponents to race against. Your can steer with a joystick or steering wheel, if the device is supported by your platform. It is also possible to drive with the mouse or the keyboard as I did. The graphics feature lighting, smoke, skid-marks and glowing brake disks. The simulation features a simple damage model, collisions, tire and wheel properties, aerodynamics and much more. The gameplay allows different types of races from the simple practice session up to the championship. You can also enjoy racing against your friends in the split screen mode with up to four human players. 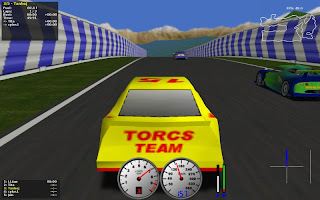 TORCS is a must try game for Linux users who want a quality racing simulator. It is fully-featured and it can be played after getting bored of watching too much Oprah. Seriously, TORCS is really enjoyable to play, and the controls using the keyboard are simple and easy to remember. I’m still playing the game in easy mode, so, it makes the game even more fun because I always win (hehe). Although, I’m thinking of getting a joystick to fully enjoy the game. All in all, TORCS is highly recommended. And, did I already say that it’s free? Thanks for a good review on Torcs. It's a wonderful game indeed. The developers have definitely done a good job. I think I would prefer vdrift, it has more of a real-car feel to it .. although until I get a proper steering wheel both are impossible to play well. Well, being a gamer myself I find the grafics very outdated. It's a nice review, but honestly, these grafics are at least 4 years behind the current reality and make the game look really ugly. I guess we are still very spoiled with good grafics from win-based games. as a racing _simulation_ game, the graphics aren't nearly as important as the physics. The best, imo, simulation game for windows the GTR series (GTR2, GTR evo, Race, Race 07, Race on, volvo the game etc.) all based on the same graphics engine and look outdated today as well, but who cares when the physics are that good! All I'm saying the enjoyment in these games doesn't come from the eye-candy but the realistic feel of the cars.